North Dakota’s favorite “Band of Sisters” returns to the stage of the Medora Musical! The dynamic duo of Krista & Kendra return to the Burning Hills Amphitheatre with great country music and a new album! 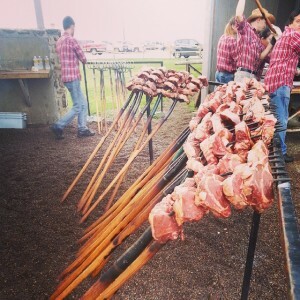 (Medora, ND) – The Theodore Roosevelt Medora Foundation, alongside Medora Musical alumni and former star of The Voice, Kat Perkins, are excited to announce the return of the Badlands Rising Star Camp to Medora this summer. This special music camp in the heart of the badlands offers aspiring singers, songwriters, and musicians the opportunity to learn from Kat Perkins and her handpicked team of advisers – whether they are hoping to simply elevate their music to the next level, or dream of taking those amazing talents all the way to the top. Here’s a little taste of the Camp from 2016! Reflecting on the decision to start her camp, Kat tells the story: “When I was 17, I had a life-changing experience at a music camp. It made me a better singer, performer, and it changed my whole perspective on performing as a career. 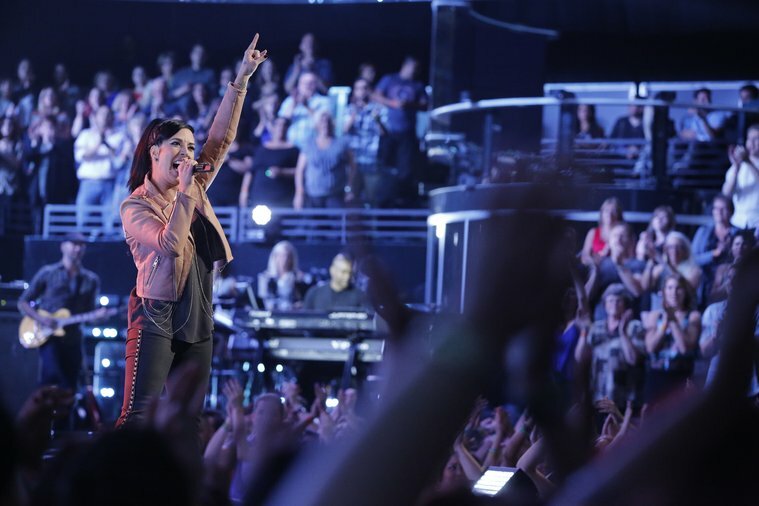 “Then on NBC’s The Voice, my life changed once more in so many positive ways. After that experience, I instantly knew that I needed to use my ‘new voice’ to educate and inspire. TRMF Marketing and Communications Director, Justin Fisk, added, “When Kat was starring on The Voice, we were so excited for her and immediately started talking with her about performing in Medora. Nearly 40 talented singers from as far away as California participated in last year’s Rising Star Camp in Medora. Availability is limited so interested parties are encouraged to sign up as soon as possible. Campers will again open Kat’s Headline North Dakota Concert in Medora on July 1 before that evening’s Medora Musical. Pre-sale tickets for Kat’s July 1 Country Tribute Concert in Medora are available now at Medora.com. 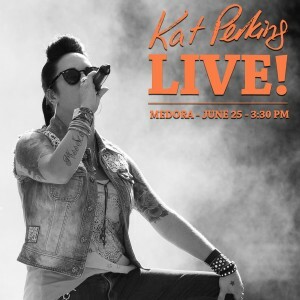 (Medora, ND) – The Theodore Roosevelt Medora Foundation alongside Kat Perkins, former Medora Musical standout and semi-finalist on NBC’s The Voice, are pleased to announce that Kat will be returning to the stage of the Medora Musical for one of her select 2016 North Dakota concerts at 3:30 p.m. MDT on June 25. (MEDORA, ND) – Former star of ‘The Voice’ and North Dakota native Kat Perkins is set to return to the stage of the Medora Musical, for a one-day concert on July 31, 2015, at 3:30 p.m. MDT, prior to that evening’s showing of the Medora Musical. 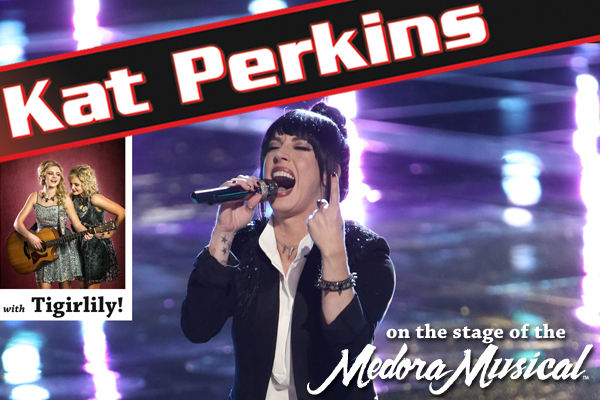 Fresh from her time staring on NBC’s hit singing competition show, ‘The Voice,’ Perkins performed two, sold-out concerts in Medora’s Burning Hills Amphitheatre in 2014 – the first selling out in less than four hours. Since then she has toured across the Midwest, worked and rubbed shoulders with some of the music industry’s elite, and entertained US Service Members in the Middle East. She has also dedicated a significant amount of time talking to youngsters about following their dreams with determination – something she’s become very passionate about and that she attributes much of her success to. Fargo singer/songwriter, “Izzy” Marcil, is slated to open the July 31 concert. Marcil graduated from Fargo Shanley in 2013 and is currently attending the Berklee College of Music in Boston, MA. 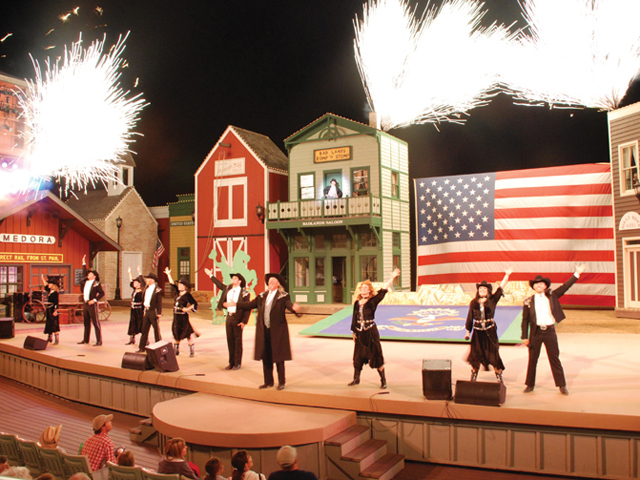 The Medora Musical will show that evening at 7:30 p.m. MDT, following Perkins’ concert, and is celebrating its 50th Anniversary all summer long. The first performance of the Medora Musical was on July 1, 1965. Concert and Concert-Musical Combo Tickets go on-sale March 2, at MEDORA.COM. (MEDORA, ND) – Due to inclement weather, and no forecasted lift in the unseasonable rain, the Kat Perkins ‘Fearless’ concert for today, August 23, in Medora’s Burning Hills Amphitheatre, has been rescheduled to September 7, 2014. The rescheduled concert on September 7 will be held at 4:00 p.m. MDT. Ticket holders for the August 23 concert must keep their tickets to use for entry into the September 7 show. All involved would like to thank the fans for a wonderful sold-out concert on Friday, and thank all those who planned on attending today’s August 23 show who can now join us again on September 7. 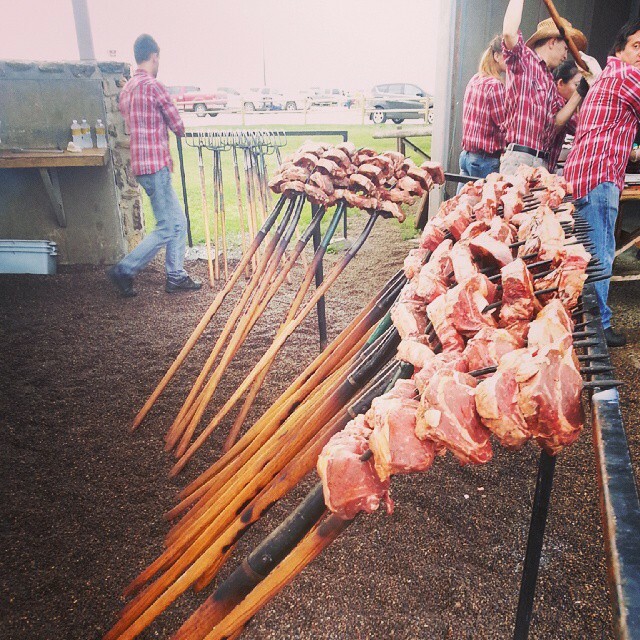 For more information, go to MEDORA.COM. Schedule of events for Kat Perkins with Tigirlily on August 22 and [rescheduled to] September 7. Due to inclement weather, and no forecasted lift in the unseasonable rain, the Kat Perkins ‘Fearless’ concert for today, August 23, in Medora’s Burning Hills Amphitheatre, has been rescheduled to September 7, 2014. The rescheduled concert on September 7 will be held at 4:00 p.m. MDT. Ticket holders for the August 23 concert must keep their tickets to use for entry into the September 7 show. Kat Perkins August 22 and 23 concert dates are fast approaching. To help you plan your day or weekend in Medora, here is the itinerary for what is sure to be a magical Friday and Saturday night. All times are Mountain Daylight Time.